The Jet and Tony version of this sprightly Jerry Lordan composition created a tricky and arguably impossible act to follow: Shadows resonances aside, the playing was faultless, and there was a sensibly proportioned rather than (as so often with late 50s/early 60s instros) immoderate Duane Eddy styling in the form of female vocals and dirty-sounding sax. 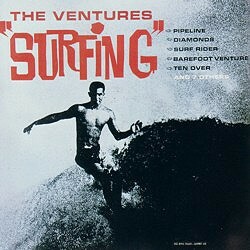 For The Ventures in surfing mode 'Diamonds' might seem ideal material (though they had not heard the original it seems), yet they do not do a lot with it, turning in a lacklustre, listless performance. Dave Peckett in New Gandy Dancer 36  7 labels the drumming “pedestrian”, outshone by Tony Meehan. 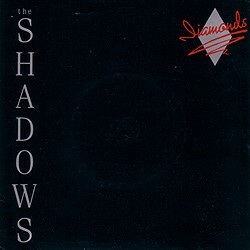 The Shadows’ version, from a decade which set little store by unaffected simplicity, disappoints in a different way, possessing an air of refined detachment with far too much competing for the listener’s attention.